The rapid known as Snowmass Hole on the Toothache section of the Roaring Fork River is one of the highlights for local rafting customers. Two local men are looking to start a new whitewater rafting company that would take customers down sections of the Crystal and Roaring Fork rivers. 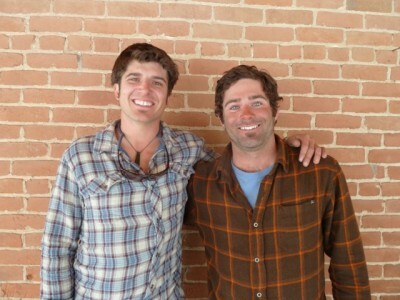 James Foerster and Langdon Adams, both graduates of Aspen High School and Fort Lewis College in Durango, are arranging for multiple permits and approvals to allow the operation of their new company, Elk Mountain Expeditions. “There are a lot of different entities,” Foerster said, ticking off the permits and approvals needed from the city of Aspen, Pitkin County, the U.S. Forest Service, Division of Wildlife and private landowners. The pair plan to start small with two or three 14-foot rafts and run the Slaughterhouse and Toothache sections on the upper Roaring Fork River and the Carbondale-to-West Bank section on the lower Fork, which also is known as the “Pink-to-Black” run. They also plan to run the Avalanche-to-BRB section on the Crystal River. The company will be based in Carbondale and will share space with Ragged Mountain Sports in the Sopris Business Center on Highway 133, across from the 7-Eleven store. The pair of good friends have extensive river and guiding experience. They began kayaking together in high school before graduating in 2004. While in college in Durango, they returned to the valley and spent two summers working for Blazing Adventures. At Blazing, Foerster worked as a safety kayaker and Adams as a raft guide in Slaughterhouse and on the Class IV-V Numbers section on the Arkansas River. They got additional guiding experience working for Mild to Wild Rafting in Durango, which offers trips on the upper and lower Animas River, and on the Piedra, San Miguel, Colorado, Verde and Salt rivers. The duo ended up leading trips on the upper Animas, which is a remote Class IV-V run and one of the toughest commercially run sections of river in the U.S. Both Foerster, 26, and Adams, 25, have logged seven years as commercial raft guides and over 13 years as kayakers. Both are certified as wilderness first responders. They plan to both operate their new rafting company and personally guide river trips. They plan to hire another local guide, and use safety kayakers as needed in Slaughterhouse and during high water on the Crystal. Currently, both men work at Taster’s Pizza in Snowmass Village and also coach at the Aspen Valley Ski and Snowboard Club. In order to offer trips on the Class III-IV Slaughterhouse section of the upper Roaring Fork, the pair need permission from Aspen’s open space department, which manages the parking and staging area at Stein Park at the top of the run. The park is at the bottom of Cemetery Lane and also is called Fisherman’s Park. The pair also need permission from Pitkin County, which manages Wink Jaffee Park in Woody Creek, which serves as the takeout for Slaughterhouse and the put-in for Toothache, a Class II-III run. The county, through an agreement with the Bureau of Land Management, also is the permitting entity for the area at the Wingo Junction bridge below Lazy Glen, which is the takeout for Toothache. John Armstrong, a ranger with Pitkin County Open Space and Trails, said he is recommending approval of a permit for Elk Mountain Expeditions to run Slaughterhouse and Toothache. Armstrong said the county has set a ceiling of 8,000 annual user days on the upper Fork, and to date only about 6,000 user days have been recorded in a year. There are currently four other rafting companies permitted by the county to operate on the upper Fork: Blazing Adventures, Aspen Whitewater, Up Tha Creek and Kiwi Adventure Ko. Aspen Seals, a whitewater “sledging” company, used to have a permit but has gone out of business, according to Armstrong. Armstrong also said the new owner of Up Tha Creek has told the county he does not plan to run trips on the upper Fork this year, but asked that its permit be kept on the books. Representatives of Blazing Adventures and Aspen Whitewater, the biggest rafting companies in the upper valley, have been in touch with Armstrong about the new company’s permit application. “Both of them gave us some input and they were concerned, but I assured them we were not issuing this permit lightly,” Armstrong said. Scotty Gibsone of Kiwi Adventure Ko., which focuses on running Slaughterhouse, said there was room for Elk Mountain Expeditions on the river, and Adams and Foerster were both solid boaters. Currently, various rafting companies stage trips at Stein and Jaffee parks in staggered 30-minute intervals, and they are not allowed to offer customer parking, as spaces at both parks are few and highly regarded by private boaters and trail users. The board of county commissioners is set to review the Elk Mountain Expeditions application on March 28. Mike Kraemer, a planner for Pitkin County, said no significant issues have been raised about the application. “I haven’t received any objections yet,” Kraemer said. If they get an OK from the county, Adams and Foerster will then seek final approval from Brian Flynn, the city’s open space manager, to use Stein Park. 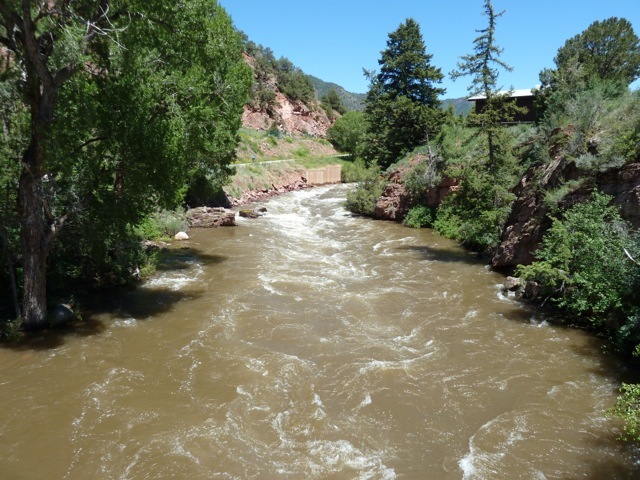 On the lower Roaring Fork River, Elk Mountain Expeditions has received approval from Colorado Parks and Wildlife to use the put-in just below the Highway 133 bridge in Carbondale and the takeout at West Bank. Adams and Foerster also have a temporary outfitters and guide permit from the U.S. Forest Service to use the put-in at the top of the Avalanche-to-BRB section on the Crystal River. The put-in — a dirt parking lot next to the highway — is Forest Service property. The takeout, just above the low bridge leading to the BRB campground, is on private land. The pair are in discussions with the owner of the campground to gain permission to stage out of the area. 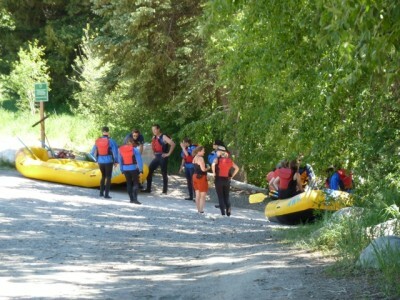 Commercial raft trips on the Crystal, which has a short runoff season, are relatively rare, with Up Tha Creek the only company that has offered trips there. If Foerster and Adams can work things out with BRB and the Colorado Rocky Mountain School (CRMS), which controls a put-in/takeout on the lower Crystal, they also may run trips from the BRB campground to CRMS, or on to West Bank on the lower Roaring Fork. Editor’s note: This story was also published in the Aspen Daily News on Saturday, March 3, 2012.